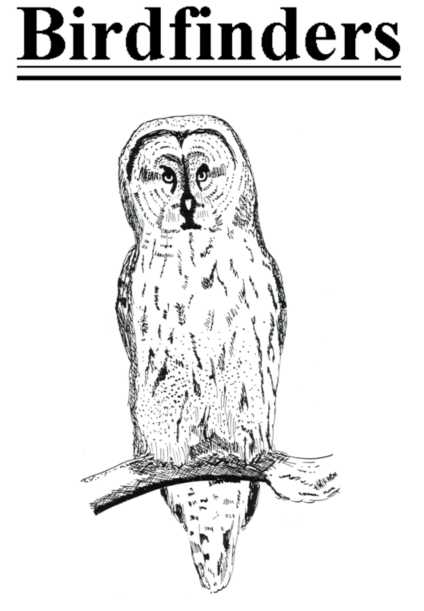 The Neotropical Bird Club is an international organisation for birders and ornithologists interested in the birds of the Neotropics (Middle & South America and the Caribbean). The NBC has been helping to conserve the birds of the Neotropics since 1994. The NBC carries out various activities and the pages of this website describe them in detail. A full description of the NBC’s activities can be found on the About NBC page, but for those who prefer to skip straight to the main pages, our publications Cotinga and Neotropical Birding are described on the NBC publications page, and our conservation work is described here: Conservation. Having learned about what we do we hope you’ll decide to join the NBC and details of how to do so are described on the Join & Support page. The NBC’s corporate members are shown in the column to the right and we thank them for their support. We have booked a room at the Wisteria Hotel in Oakham on Thursday 16th August where we honoured to have Rick Simpson of Waderquest and a past NBC council member giving an after dinner speech. Come along and celebrate with us , tickets are £25 each and include three course meal. To join us follow this link NBC Anniversary meal. We have had some technical problems with the renewal process for members, the main problems are the link in renewal message not working and problems with the lost password app. To recover a lost password use your username, not your email address as this does not work. Contact the secretary if you do not know your username. To renew select “Join & Support” from the bar across the top of the page, then select the relevant membership required. If you have problems contact the secretary. 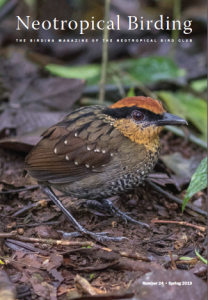 The NBC will be holding a one-day joint conference with the British Ornithologists’ Club on 26 October 2019 in the Flett Theatre of the Natural History Museum in South Kensington, London. Attendance is open to all and entrance is free. The conference will include a range of talks on Neotropical ornithology and full details of the programme will appear on the NBC website in due course. From 2018 members have had the option to receive their publications in digital format. Full details of new memberships rates are here. Printed copies of both publications continue to be available as many of our members have said they prefer this option. However, members joining using our special reduced rate will only receive digital copies. Support the NBC when you shop at Amazon – we have now set up an arrangement with Amazon who will donate to the NBC 0.5% of the cost of any purchases made by members (or anyone else), which while it may sound like a small amount could contribute significant funds to the club if we all sign up for it. All you have to do is use the Smile Amazon site and put Neotropical Bird Club into the search box to indicate which charity you want you donation to support. Click here for Smile Amazon. The full contents of Cotinga 36 are now available for free download from here. Free publications: Issues 1-36 of Cotinga are now available for free download via this website. The NBC is grateful to Steve Smith for creating digital copies of the first 19 volumes of the journal. Click here: Cotinga 1-36 . 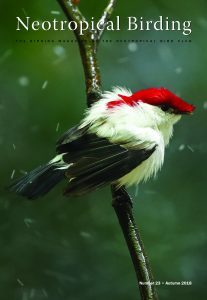 In addition, we have now made available for free download some of the articles in Neotropical Birding. Specifically, most of the recent articles in the popular Splits, lumps, and shuffles series are now available, as are most of the recent Conservation Awards summaries. Please see the NB index pages here and look for papers with the titles highlighted in bold green. Nuestra guía para el buen comportamiento observando aves en el campo: alineados con los otros clubes de aves regionales ABC y OBC, estamos orgullosos de publicar nuestro propio código de buenas prácticas de observación de aves. Esperamos que nuestros miembros adopten este código cuando estén en el campo. También les avisamos que este código se actualizará de vez en cuando, así que hágannos saber si tienen algún comentario o sugerencia. Recuerden que el bienestar de las aves es lo primero. Para descargar una copia del código haz click aquí. Nosso guia para um bom comportamento no campo: De acordo com os outros clubes regionais de aves, a ABC e a OBC, temos orgulho de publicar nosso próprio código de prática. Esperamos que os membros o adotem enquanto estiverem em campo. Prevê-se que o código seja atualizado periodicamente, por isso informe-nos se tiver algum comentário. Lembre-se que o bem-estar das aves vem em primeiro lugar. Para baixar uma cópia clique aqui. Data protection rules require you to give us your consent before we can contact you on certain NBC matters such as, fundraising, events & volunteering opportunities. If you wish to receive such information (and have not already given your consent) you may do so by clicking here. In using this website (for example by applying for membership), you may disclose personal information to us. Please see our Website Terms & Conditions and Privacy & Cookies Notice for information on how we collect, use, store and share your data. We are delighted to report that NBC’s 2018 Fundraiser to Mexico (Acapulco to Veracruz) raised over $5,500 for the Club. Many thanks to Michael Carmody at Legacy Tours for making such a generous donation. 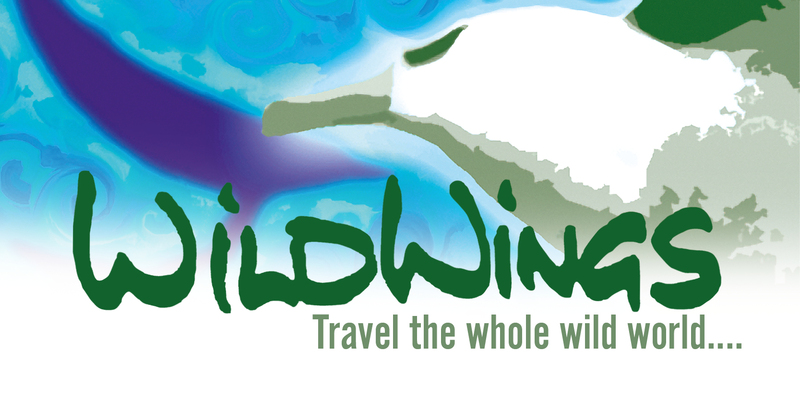 Michael hails this route as “North America’s Finest Birding Route” and with around 475 species and 60 endemics seen in a fortnight he has a cogent case for that moniker! Thanks to all who participated and also David Salas – our indefatigable driver & companion – Yucatan’s finest! The photographs on this website were taken by David Fisher and Alex Lees, unless otherwise credited. 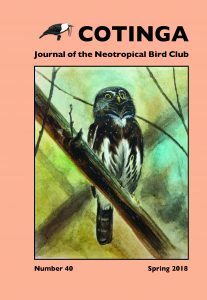 El Neotropical Bird Club (NBC) es una organización internacional creada para los observadores de aves y ornitólogos interesados en las aves que se distribuyen en el Neotrópico (Meso, Sur América y el Caribe). El NBC ha contribuido a la conservación de las aves del Neotrópico desde 1994. El Club lleva a cabo diversas actividades y las pestañas de este sitio web las describen en detalle. Un retrato completo de las actividades de la NBC se puede encontrar en la pestaña llamada Acerca del NBC, pero para aquellos que prefieren pasar directamente a las páginas principales, nuestras revistas Cotinga y Neotropical Birding se describen en la pestaña de publicaciones del NBC, y nuestro trabajo de conservación se describe en Conservación. Una vez que ha conocido acerca de lo que hacemos esperamos que decida unirse al NBC, los detalles de cómo hacerlo se describen en la pestaña Únete y Apoya. Los miembros corporativos del NBC se muestran en la columna a la derecha y les agradecemos por su apoyo.